The adventures of a bunny and a fox to the tune of Berlioz' Symphonie fantastique in this joint FRSO and VERSO concert. 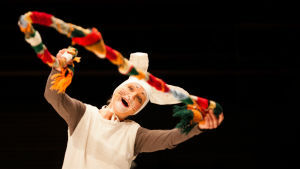 The concert is in Finnish and suitable for children aged 4 or more. The concert is free, but seats should be booked in advance from 8 am on 8.4.2019 info@versomus.fi.